Bun looks forward to spring, as planting a veg garden is the very best activity ever. Our dolls are all made from our original hand drawn patterns. 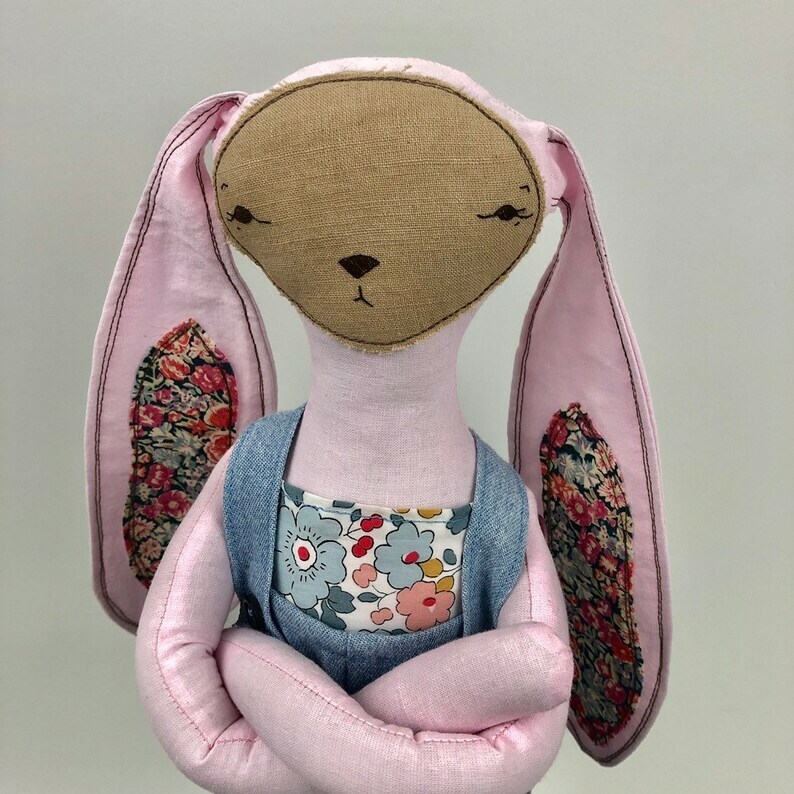 Fabrics are reclaimed and hand dyed, faces and patches are hand embroidered and the doll and bibs are sewn using my old machine. The top is made of Liberty Print, from the scraps of a local seamstress. The cap is knit of wool and has openings for the ears to fit just right. Arms are button jointed. Though a pattern may be used again, no two dolls will ever be exactly the same, making each a one of a kind.